What can we say? 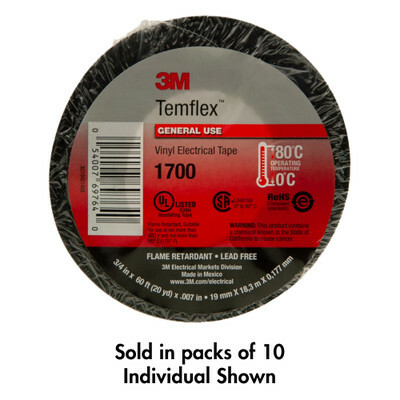 This is a 10-pack of your garden variety 7mil vinyl electrical tape made by 3M. It is 3/4 inch wide, each roll is 60 feet long, and is UL listed. It features enough flexibility to mold itself around most object as any decent electrical tape should.